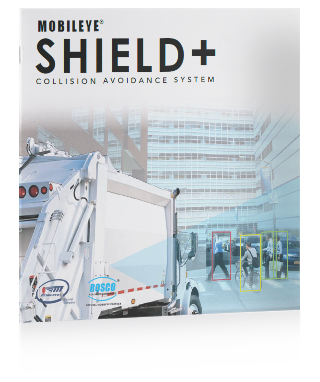 Shield+ - Rosco Collision Avoidance, Inc.
Shield+ is one of the most advanced collision avoidance system for large vehicles over 26 feet long. 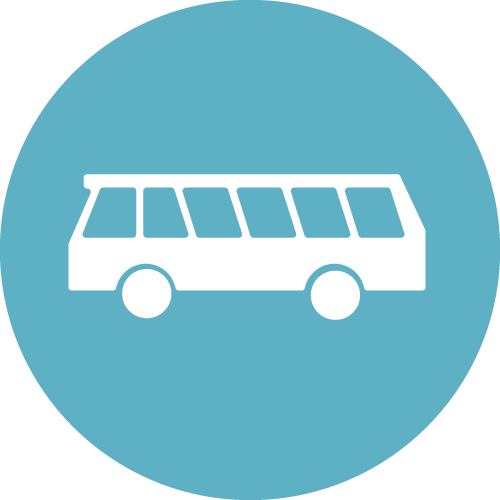 Bus and truck operating conditions demand the highest level of awareness by the drivers in all environments. 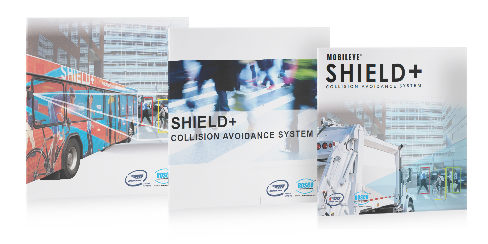 Shield+ increases awareness and safety for the driver and Vulnerable Road Users (VRUs) around the vehicle to help avoid collisions. 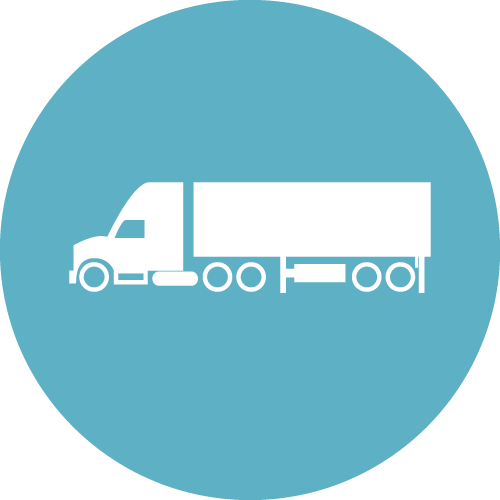 Bus and truck operating conditions demand the highest level of awareness by the driver in all environments. Pictured below is an example of one turn of likely thousands this bus will make over the course of a week. 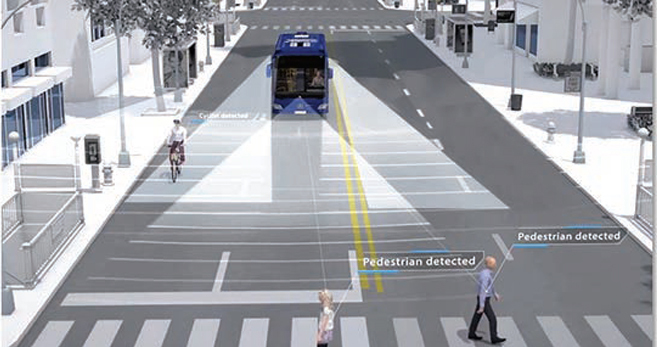 Smart cameras on the front and sides of the bus track possible collision courses and alert the driver in real time giving them time to take action. The Shield+ System includes (2) exterior side sensors, (3) driver alert displays, (1) master sensor. The new low profile exterior sensors are aerodynamically designed and IP67 rated to withstand inclement weather. The smart sensors are built to tolerate the rigors of the transit bus environment including bus washes and high-pressure cleaning. 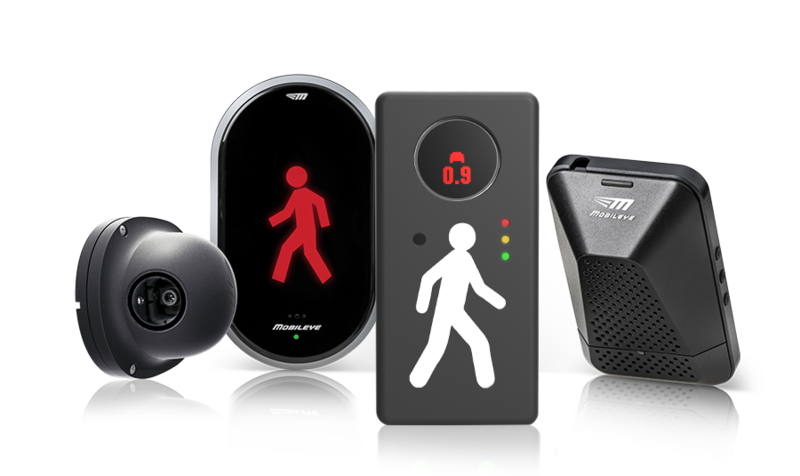 Each Shield+ system comes equipped with left, center and right driver displays to give drivers visual and audible alerts of pedestrians, cyclists, or other vehicles around the vehicle. The Master Sensor is mounted on the center of the windshield and views the road ahead to identify vehicles, pedestrians, cyclists, lane markings and speed limit signs. 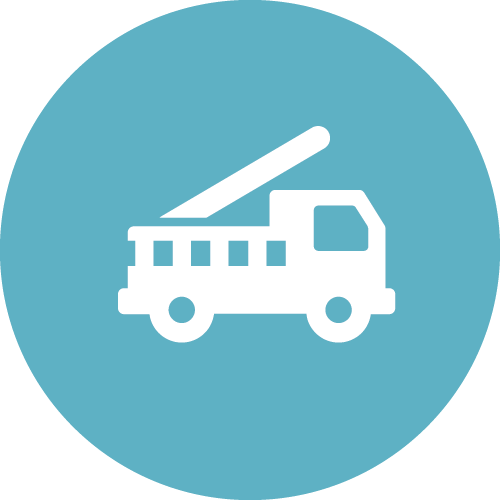 Watch how easy it is to install our system onto your vehicle. Hover over diagram to see driver cockpit view. 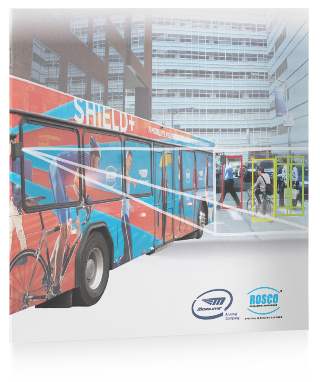 In addition to all the benefits of the original Mobileye® Collision Avoidance System, this unique, smart vision multi-sensor system provides drivers with alerts when pedestrians and cyclists are in the danger zones on the side of the bus, as well as the front. 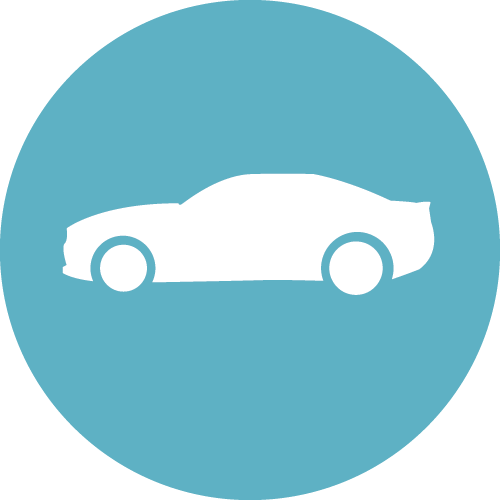 Often times, pedestrians will dart out between cars to cross the street and into a driver’s blind spot. Shield+ can minimize the risk of incidents when this happens. 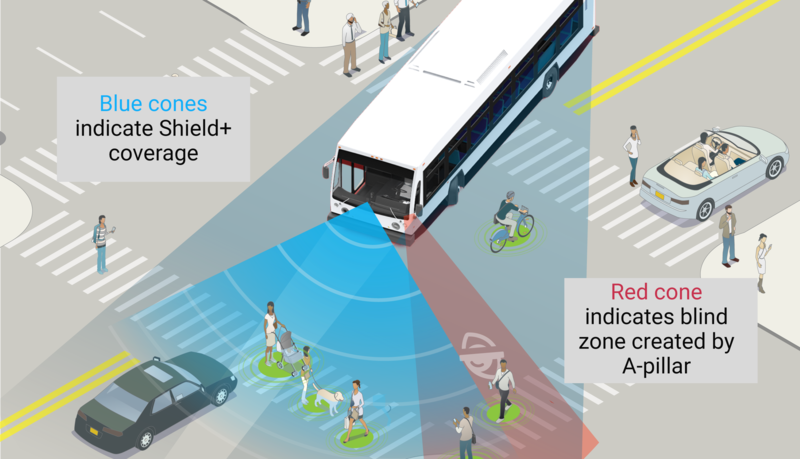 The addition of the pedestrian and cyclist side-sensing makes the driver aware of pedestrians and cyclists in the bus’ path, before an incident occurs, giving the driver time to react and take corrective action. 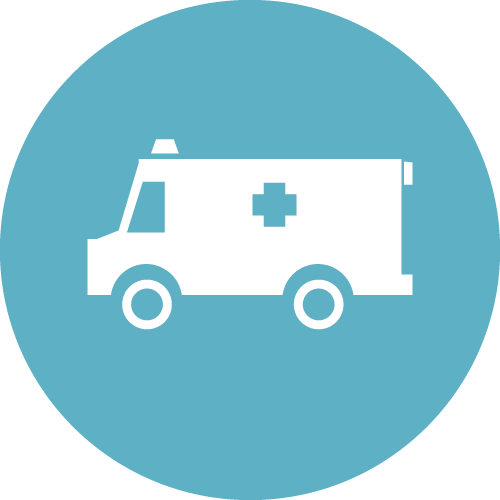 These real-time alerts can help save lives and improve your organization’s safety record. 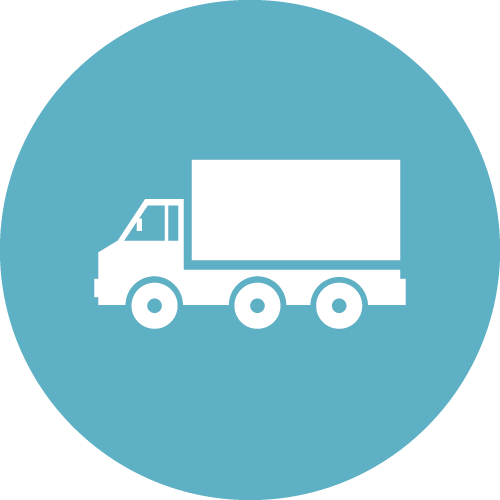 • Assists large vehicle operators to avoid collisions with vulnerable road users. • Assists decision makers by providing invaluable real-time big data on dangerous intersections. • Provides continual updates of near crashes with pedestrians and cyclists. 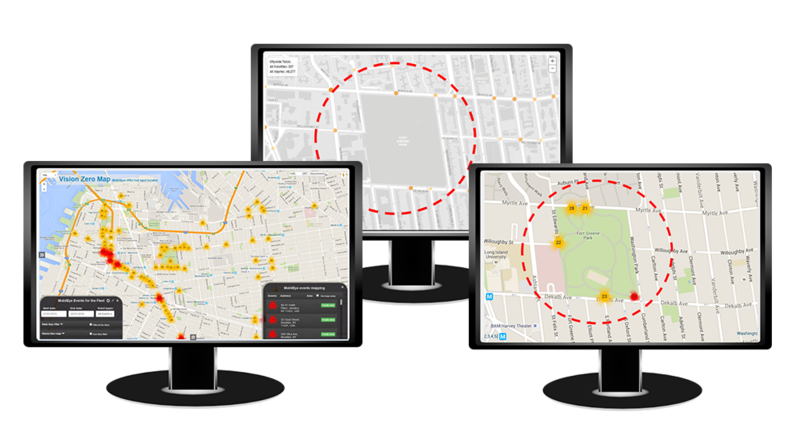 • Identify exact geo-location of incidents. • Real-time big data on dangerous intersections.